Atlassian Data Center offerings deliver high availability and consistent performance at scale to mission-critical deployments. Manual administration tasks such as setup and upgrades for these clustered deployments can be error-prone and hard work. These are often done over nights and weekends to avoid disruption to end-users. Automating these tasks can save hundreds of hours a year, reduce risk and open up time for innovation. Atlassian technical account managers (TAMs) help many customers successfully implement automation. Join us to learn from these technical experts how you can automate your deployment and take back your weekends! 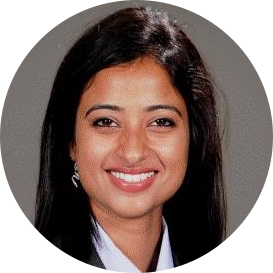 As a Technical Account Manager (TAM) with Atlassian, Archana delivers software and strategic solutions to the enterprise. She works with Atlassian's largest customers, facilitating alignment between multiple business units to drive outcomes, and advocating for the customer's use cases within Atlassian. A DevOps advocate and practitioner, she is passionate about using the Atlassian products for driving employee engagement, workplace culture and productivity. In her time outside of work, she loves reading, singing and enjoying bowls of Tonkotsu ramen.